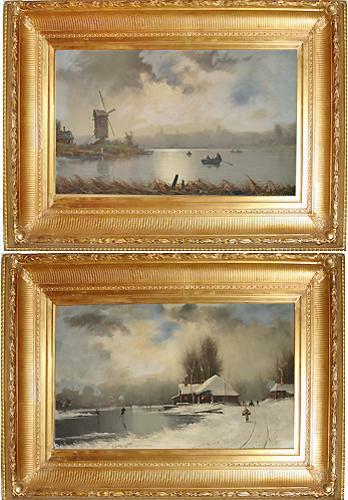 A Pair of 19th Century Dutch Oil on Canvas Winterscapes signed by Danish Artist Nils Hans Christiansen (1850-1922) - C. Mariani Antiques, Restoration & Custom, San Francisco, CA. 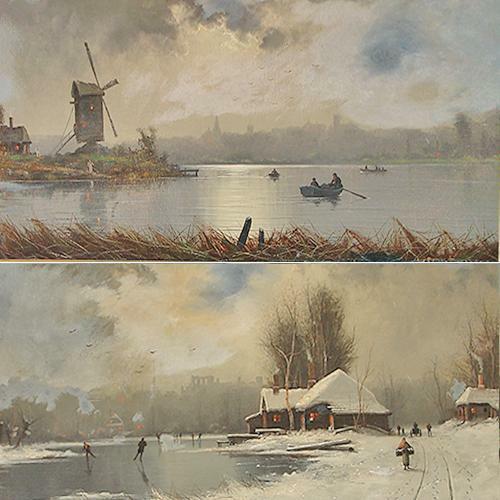 A Pair of 19th Century Dutch Oil on Canvas Winterscapes signed by Danish Artist Nils Hans Christiansen (1850-1922), one entitled Midwinter in Ribe and the other Windmill on the Lake, Aarhus, both in their original carved giltwood frames. Available as a pair or individually.